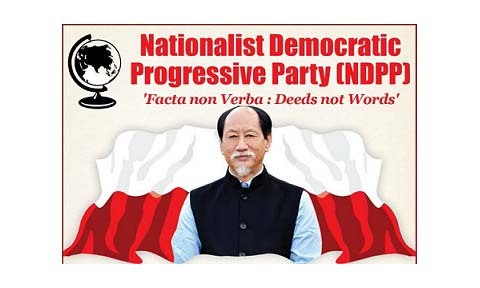 The ruling Nationalist Democratic Progressive Party (NDPP) of Nagaland while appreciating all sections of people who have expressed concern over the Citizenship (Amendment) Bill, 2016 said the PDA government’s stand will be based on the collective view of the people. In a statement issued the NDPP stated that safeguarding and protecting the rights of ‘our people is a common concern for all of us’. Notably in this regard, the State Cabinet had taken the decision to call a consultative meet of all sections, including tribal hohos, civil society groups, NGOs, political parties, prominent citizens and all stakeholders to ascertain the views, opinions and suggestions of all sections of the Naga society. ‘And the consensus arrived at the meeting would naturally become the stand of the State Government and presented before the Central Government,’ it added. The NDPP further stated that the State Cabinet had also referred the matter to the Standing Committee on Article 371 (A) of Nagaland Legislative Assembly, which includes members representing all political parties, to study the issue and submit its report to the House so that measures could be taken up collectively to further protect and safeguard ‘our people’. The NDPP further called for addressing the issue in a patient and sensible manner. ‘Naga society is a very open and democratic society. Therefore, in keeping with this tradition of ours, let us all come forward and participate in a positive and democratic manner, while avoiding all forms of negativity, with the sole intension of protecting and safeguarding the rights of our people for now and for generations to come,’ the NDPP statement further read.